Outside In Westminster Tower England Garden Wall Clock 12"
TypeStandard Wall Clock. Features12 Hour Display,Large Display,Waterproof. - Suitable for living room, office or other places. A unique fantasy art, will be amazing in any room. - Size: Approx. Hope to have more chances to serve you! 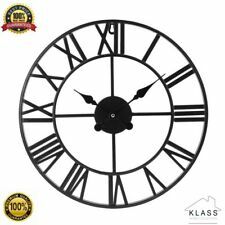 Large Outdoor Skeleton Clock With Giant Open Face - 80cm. This beautiful wall clock is finished in a silver mirrored colour, the surround is filled with a crushed diamond effect. Crushed crystal 35 cm wide wall clock. 35 cm high. Our Big Ben detailed outdoor wall clock is a lovely addition to any garden. 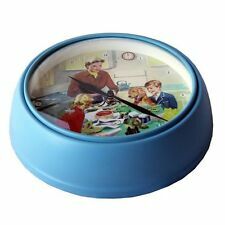 This clock would also make a fabulous house warming gift for a loved one, why not share your discovery! Outdoor Garden Clock Big Ben Westminster clock. This stunning black and gold outdoor wall clock is a lovely addition to any garden. Hang it on a feature wall inside or brick outside. This clock would also make a fabulous house warming gift for a loved one, why not share your discovery! Our black and gold detailed outdoor wall clock is a lovely addition to any garden. 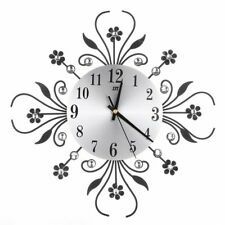 This clock would also make a fabulous house warming gift for a loved one, why not share your discovery! Outdoor Garden Clock. Silver Wall Clock A stylish pocket watch wall clock. It has Roman numerals for numbers and the text read "KENSINGTON STATION" and "LONDON". 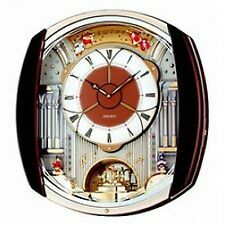 It is a robust clock that will complement all styles of decoration. It takes one AA battery. It stands at 42cm high with a diameter of 35cm and is 6cm deep. An ideal gift for all ages. .
Add a classic touch to your living space with this copper wall clock. Requires 1x AA battery (not included). Colour: White, Rose Gold/ Copper. High Shine Rose Gold/ Copper Effect. Type: Wall Clock. Bold copper numbering. Slate Effect Outdoor Garden Clock. 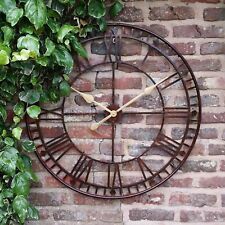 This stunning Slate featured outdoor wall clock is a lovely addition to any garden. This clock has an aged face which is all part of the overall design. Hang it inside or outside and enjoy the clock. This eye-catching Nedis Wall Clock is crafted from real wood to provide a perfect finish to your room. Battery type: 1x AA. CLASSIC DESIGNS TO CHOOSE FROM..... FREE P+P !!! 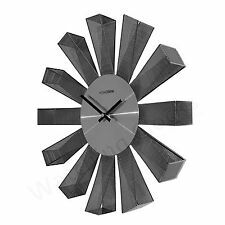 Hang it on a feature wall inside or brick outside and enjoy the translucent effect the clock features. A great conversation starter with its unique and detailed features. 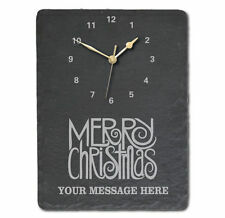 This clock would also make a fabulous house warming gift for a loved one, why not share your discovery!